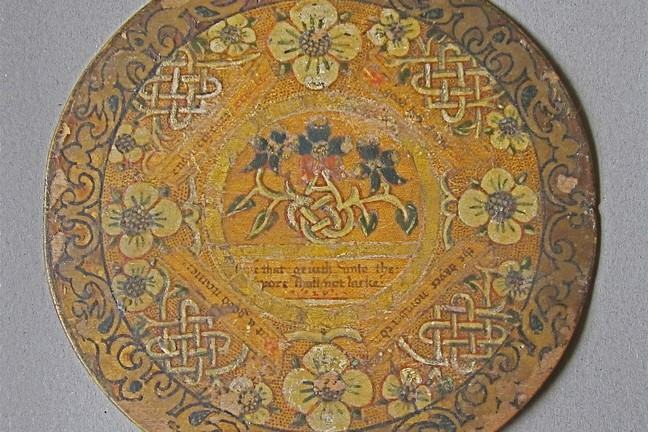 Roundel, or trencher, c1600, wood with paint and gilding. 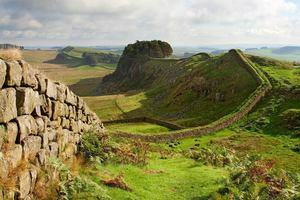 Around the border:‘A good lyfe hathe the dayes nombered, But a good name endvreth ever’. In the centre: ‘He that geueth vnto the pore shall not lacke’. 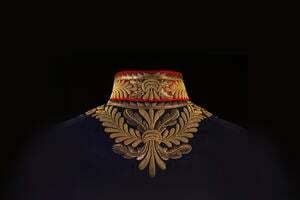 © Collection of Salisbury and South Wiltshire Museum. In the previous Step, Marc Meltonville introduced us to banqueting trenchers, which were small wooden plates used to serve special sweetmeats and sugared fruits. As the name suggests, they were used within the ‘banquet’ course which took place after the main meal. The most favoured guests withdrew to a separate space for the banquet. This could take various forms, from being laid out in a large hall to a miniature pavilion similar to the one shown in the image below. Wherever it was, it was a place designed specifically for banqueting and only the most high status guests were invited. 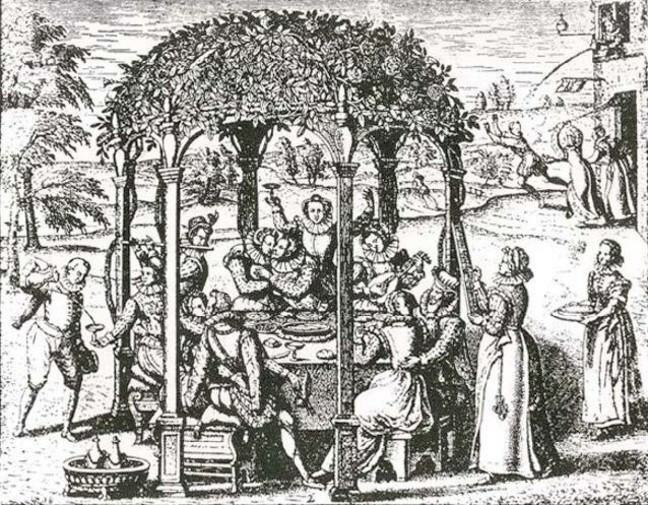 Figure 1: Unknown artist, A Summer Banqueting House, Image from: website of Epsom and Ewell History Explorer – Nonsuch Palace Gardens. The word trencher comes from the French ‘tranche’, meaning slice. In the late Middle Ages, a slice of bread acted as a plate, however by the 16th century this was replaced by wood or metal alternatives. In the previous video, Marc is holding a copy of a surviving late Tudor banqueting trencher held by the Museum of London. 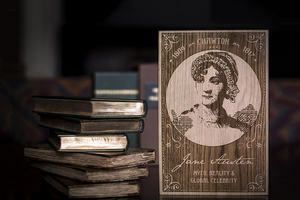 It is made from a single piece of sycamore wood, painted with oil-based pigments. 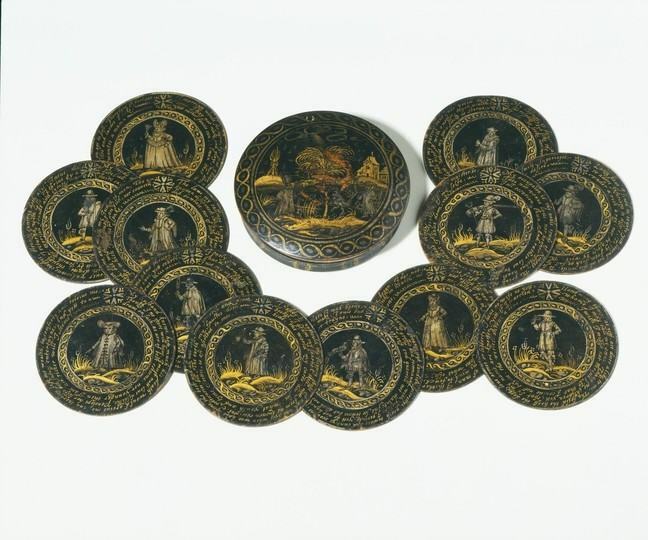 Figure 2: Twelve wonders of the world, made in England 1600-1630, Sycamore, with painted decoration in white and gold on black, collection of the V&A. 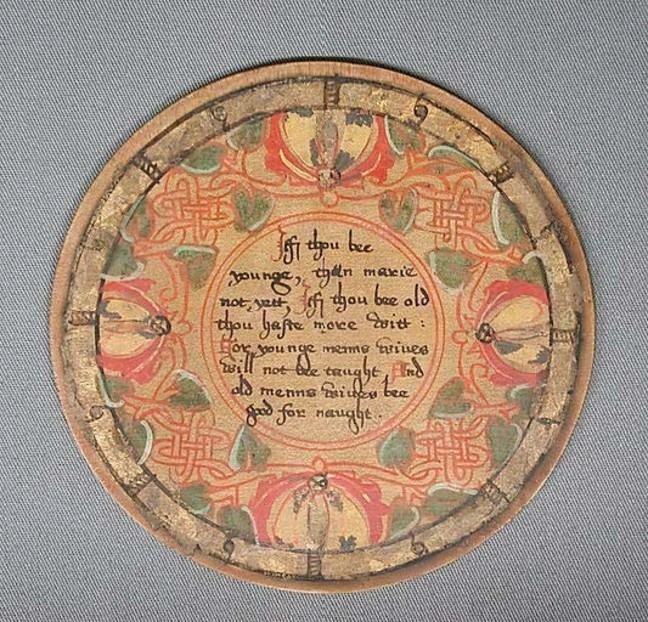 Each roundel shows a character such as a soldier or a richly dressed lady, with a satirical verse about their habits. The verses, entitled The Twelve Wonders of the World, were written by John Davies, especially for trenchers at a New Year party given around 1600 by Thomas Sackville, Ist Earl of Dorset. During the banquet, a trencher would be placed in front of each guest. A delicacy would be presented on the unpainted side, which might include finely made sweet-meats, exotic spices, sugar confectionery, ornate marzipan sculptures or sweet gingerbread. These expensive ingredients and delicacies made a clear statement of wealth, status and power, and the trencher they were served on had to reflect this. The banqueting trencher was not about satisfying the stomach, but rather to amuse, entertain and delight the eye. It was a spectacle that engaged with all the senses of the participants. Previous learners provided a wealth of resources on banqueting trenchers, including ideas on how to recreate them at home. Why not share your ideas for a trencher with other learners in the discussion area below? Recreating a set of Elizabethan trenchers on the 21st century renaissance blog. Elizabethan Roundels on the Elizabethan Roundels website. Shakespeare’s world in 100 objects: Post trenchers on Finding Shakespeare website. Mind your manners – a look at late medieval and Tudor mealtimes and the banquet on the living history today blog. ‘A thin trym trencher to serve folke at frute painted trenchers and the theatre of the banquet’ by Penny Streeter, University of Essex.